Before & After: Nejad’s expert fringe replacement – or re-fringing – of this handmade Oriental carpet – has substantially improved this rug’s appearance. This expertly hand-knotted fringe – newly replaced by Nejad – is woven into the fabric of the rug. 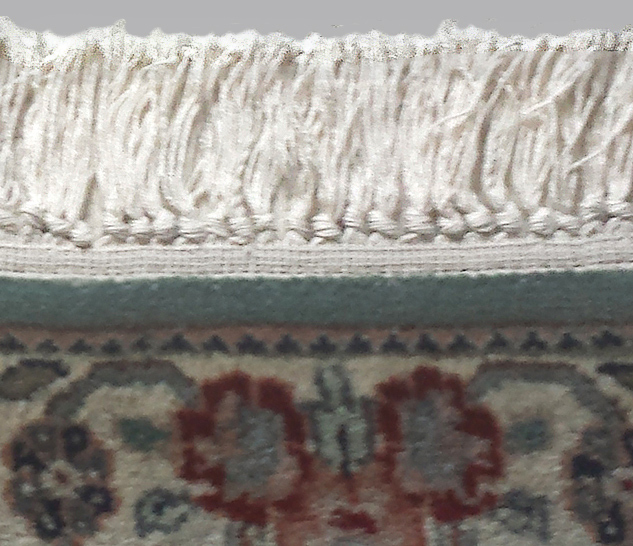 Nejad’s expert fringe repair service – which included complete replacement of the fringes on both sides of the carpet – has breathed new life into our client’s rug.